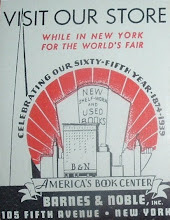 I recently acquired a box of ephemera related to books and booksellers--mostly catalogs and mostly addressed to either Lucille Rasmussen, W.E.H. Rasmussen, or both. More on them in a moment. 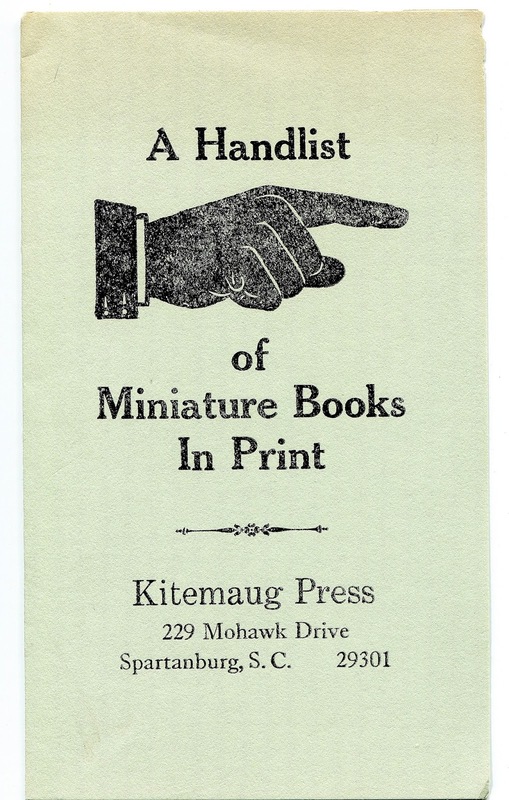 Apart from the bulk of nondescript, stapled sheets of cheap paper passing as catalogs of books for sale, are a handful of interesting pieces, such as this one from Kitemaug Press in Spartanburg, South Carolina--their Handlist of Miniature Books in Print. 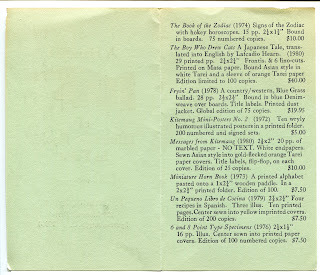 A folded 6 X 7-inch paper becomes a printed brochure or prospectus or bibliography. 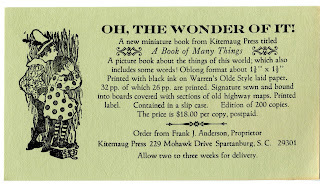 It's actually a bit of all three with a promotional card inside for their 1982 offering, A Book of Many Things. 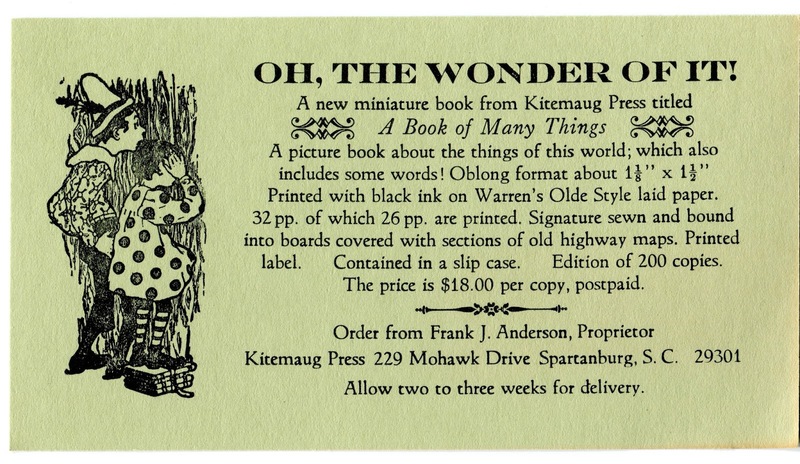 The Kitemaug Press was started by Frank J. Anderson during his tenure as librarian at Wofford College in Spartanburg, South Carolina, where his papers are archived. As the biographical note from the preceding link states, Anderson developed an interest in printing, publishing, and miniature books while serving as librarian at Wofford College from 1966-1984. 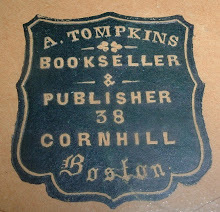 His interest in these book arts, as well as the history of printing, continued into his retirement. Collections of his work with the Kitemaug Press can be found in various institutions such as the library system at Syracuse University. Kitemaug Press publications are collectible and can be found through rare and collectible booksellers at organizations such as the ABAA. 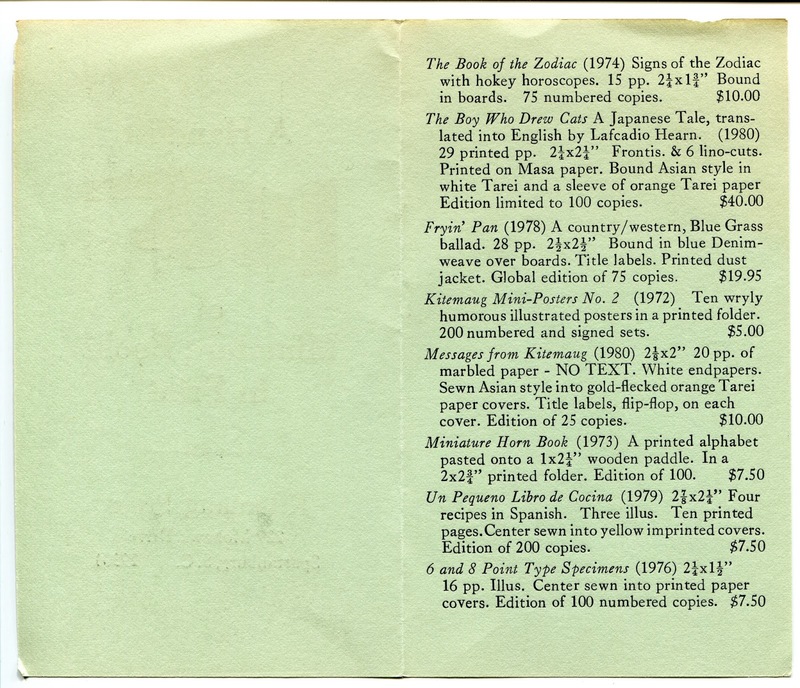 As for the Rasmussens, from whose collection the above item came, they appear to have been ardent bibliophiles who were involved not only with collecting, but also printing, binding, and publishing. 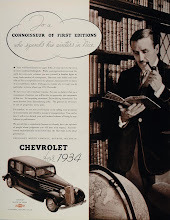 The catalogs addressed to them attest to their interest in various genres of books, from literature to books about books. 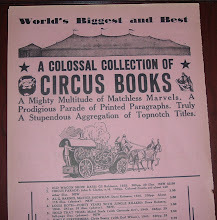 A catalog from Kitemaug Press definitely would have been of interest to them. From the scant bit of information about them online, W.E.H. Rasmussen's name is most often associated with the Rasmussen Press while Lucille Rasmussen's name is connected with the Dragon Bindery in Orange, California. Some of their printing and binding work turns up in university library collections. I will be featuring more ephemera in the near future pertaining to this creative couple. San Jose refers to Plaza de San Jose, one of several plazas in San Juan, which I believe is an old section of San Juan still popular with the arts community. Libreria Campos was a San Juan publisher and bookseller for whom I can find publications dating from the 1930s to 1950s. They must have either sponsored or hosted the 1955 fair. Their history before and after the date range above is unknown to me. "Allen Esq" offers a clue to the history of the fair also, but I can't, as yet, connect it to anything specific. So, for now, this little bookmark is the only relic I can find online of that book fair nearly 60 years ago in San Juan, Puerto Rico.